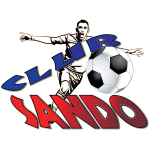 Club Sando, after two consecutive losses, narrowly escaped bottom-placed North East Stars 5-4 for their third Pro League win of the season in the first game of a double-header at Ato Boldon Stadium on Tuesday. Sando (10 points) however, by the end of the night’s action, remain fourth and level on points with third-placed Defence Force FC after the Tetron Boys snapped second-positioned San Juan Jabloteh’s (13 points) unbeaten league form with a 2-0 result in the second game of the Couva double-header. Devorn Jorsling (33) and Dylon King (41) both notched their second league goal of the season to cushion Defence Force in the first half before some brilliant goalkeeping from Sheldon Clarke following the break preserved the score-line for the win. 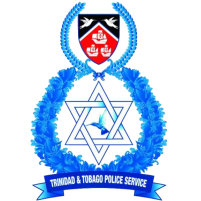 Elsewhere, Police FC (6 points) hurdled Terminix St. Ann’s Rangers for sixth spot, only by goal-difference, by defeating the Dave Quamina-coached outfit 3-0 at the Larry Gomes Stadium. 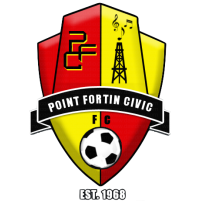 Kareem Freitas (45) and Kurdell Brathwaite (53) both scored from the penalty spot separated by the break before Jameel Perry (73) completed the win for coach Richard Hood’s Lawmen against Rangers, a side fresh off back-to-back wins against Point Fortin Civic and league holders North East Stars. Sando, under the guidance of assistant coach and former Trinidad and Tobago star forward Cornell Glen, once led North East four-nil Tuesday through a goal each from Kemuel Rivers, Shackiel Henry, Tyrone Charles and Keron Cornwall, and looked set for their biggest win-margin of the season. But the second half, despite another item from Quinn Rodney, proved a nightmare at the back for the Oranges, conceding their heaviest of the season albeit avoiding defeat. Even worse, Sando were against a side that scored just one goal from four league outings prior to kick off and had suffered eight defeats from nine games in all competitions this season with one ending in a draw. Rivers launched Sando in front on 33 minutes with a 30-yard free kick beyond the reach of ‘keeper Sample before Henry cushioned the Oranges 2-0 seven minutes from the break after controlling a Cornwall cross off his chest in the area. Charles later arrived off the bench to make it 3-0 ten minutes into the second half after combining with Cornwall inside the right of the North East area as Sando looked in full control. Cornwall added to his gloss with a goal to his name in the 69th minute when he slapped home Sando’s fourth item to put the score at 4-0. Jabari Brathwaite pulled a goal back for North East after pouncing on a spill by goalkeeper Stefan Berkeley in the 71st minute. But the defender would allow substitute Rodney space in the six yard area three minutes later to restore Sando’s four-goal cushion, 5-1. Brathwaite’s goal however provided belief for North East, and coach Zoran Vranes’ men grew in confidence by every remaining minute. But despite further goals from substitutes Allister Bernard (77) and Sherwyn Williams (82), and Kyle Bartholomew (90) and exciting a few faithful supporters, victory remains as elusive as the unicorn for the holders this season. 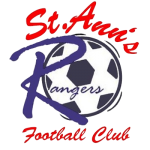 The result however would, without a doubt, send a warning to upcoming opponents as well as serve shocker for Sando head coach Angus Eve who is currently in Tobago for a pre-season camp with Secondary Schools Football League (SSFL) powerhouse, Naparima College, which he also coaches. 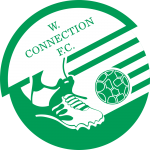 Wednesday (29 Aug.), league leaders W Connection (15 points) will look to open the gap at the top when they visit eight-placed Morvant Caledonia United at the Hasely Crawford Stadium from 8pm. 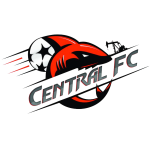 The contest will follow a 6pm kick off between Central FC and Point Fortin Civic at the Port-of-Spain venue. 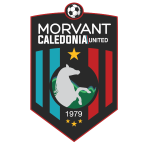 Morvant Caledonia will return to play on Saturday in one of two outstanding fixtures at the Ato Boldon Stadium. The Eastern Stallions will tackle Rangers from 4pm before Defence Force and Police lock horns in a battle of the armed forces from 6pm. 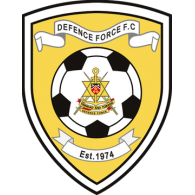 San Juan Jabloteh 0 vs Defence Force FC 2 (Devorn Jorsling 30’, Dylon King 41’), at Ato Boldon Stadium. Club Sando: 1.Stefan Berkley (GK); 5.Trevin Latapy, 6.Kemuel Rivers, 8.Kevon Piper, 9.Shackiel Henry (19.Quinn Rodney 71st minute), 10.Keron Cornwall (25.Aaquil Campbell 76th minute), 12.Michael Basdeo, 14.Kadeem Gittens (17.Tyrone Charles 46th minute), 23.Nicholas Thomas, 27.Jayson Joseph (Capt. ), 44.Josiah Trimmingham. Unused substitutes: 34.Kelvin Henry (GK); 13.Shakiyl Phillip, 18.Aaron Kennedy, 21.Derron John. 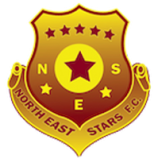 North East Stars: 21.Javon Sample (GK); 2.Jabari Brathwaite, 3.Raheim Jawahir, 4.Sean Bateau (Capt. ), 5.Sowande Preito (23.Sherwyn Williams 57th minute), 8.Saleem Henry, 11.Kyle Bartholomew, 18.Josiah Daniel (7.Hayden Tinto 71st minute), 19.Kerdell Sween, 20.Dareem Daniel (22.Allister Bernard 46th minute), 24.Rakim Cabie. Unused substitutes: 1.Glenroy Samuel (GK); 13.Jankeon Alexander, 15.Lashawn Roberts, 33.Terrell Roberts. 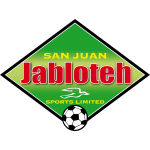 San Juan Jabloteh: 1.Christopher Biggette (GK); 3.Travis Joseph, 4.Nical Stephens, 8.Jason Marcano (7.Elijah Manners 68th minute), 10.Jomoul Francois, 15.Dellon Jagessar, 16.Jamal Spencer, 17.Sean Bonval (11.Kishon Hackshaw 79th minute), 18.Jevon Morris, 19.Joel Lewis (9.Jaydon Prowell 75th minute), 20.Elton John (Capt.). Unused substitutes: 30.Shemel Louison (GK); 2.Nicholai Orr, 12.Keron Bethelmy, 27.Jamal Creighton. Defence Force FC: 25.Sheldon Clarke (GK); 4.Dave Long (20.Levi Serries 74th minute), 6.Rodell Elcock, 8.Brent Sam, 9.Devorn Jorsling, 10.Hashim Arcia, 12.Jemel Sebro, 17.Curtis Gonzales, 21.Aklie Edwards, 45.Dylon King (70.Adrian Welch 87th minute), 99.Jerwyn Balthazar (Capt.) (18.Reon Moore 80th minute). Unused substitutes: 1.Andre Marchan (GK); 13.Marvin Jones, 15.Shaquille Bertrand, 19.Thurlani George.